Ekiti State Governor, Ayodele Fayose, has said after his foray into politics, he could end up as a pastor who would win souls for God. The governor, who stated this at a private event in Lagos during the week, said he had the premonition of becoming a great evangelist with a big ministry. However, Fayose, who is also Chairman of the Peoples Democratic Party (PDP) Governors’ Forum, was silent on whether he would go back to the denomination in which his late father, Pastor Olufemi Oluwayose, played a prominent role. His father was a cleric with the Christ Apostolic Church (CAC), while he attends the Deeper Life Bible Church. 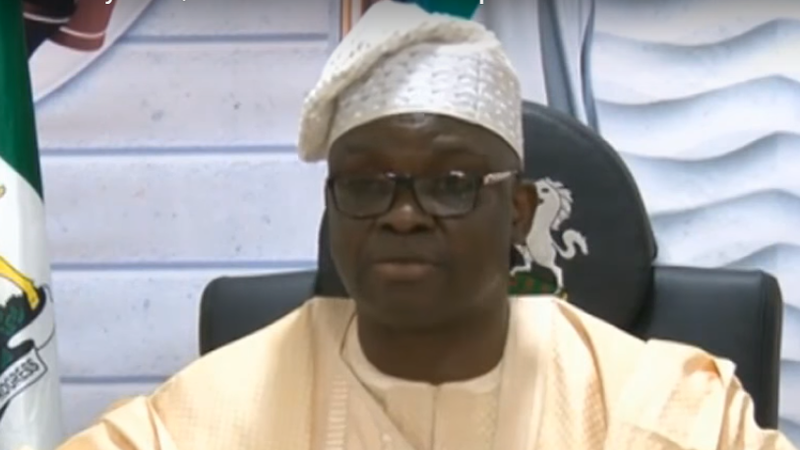 On his criticisms of the President Muhammadu Buhari administration, Fayose said he was doing everything in good faith. He, however, added that he was available if the All Progressives Congress (APC) administration decided to go after him for criticising their obnoxious policies, saying he refused to be cowed. Meanwhile, the Ekiti State Police Command has paraded two suspects, Dada Ogundare and Omoseeke Komolafe for allegedly using the Deputy Governor, Prof Kolapo Olusola ‘s name to defraud unsuspecting victims to Libya slave camp. Deputy Commissioner of Police in charge of the Criminal Investigations Department (CID), Julius Okoro, paraded them in Ado-Ekiti yesterday.